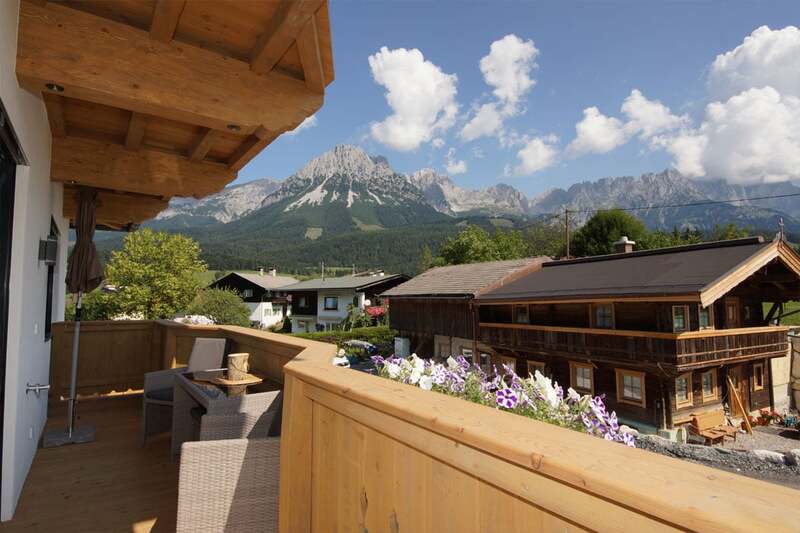 Beautiful newly built barrier free apartment on the first floor overlooking the Wilder Kaiser. Full modern equipped kitchen with a couch. The „Golden Eagle“ is barrier-free accomodation with wheelchair access and facilities. The entire outdoor area is also wheelchair accessable to relax and enjoy your holiday. The kitchen has a dishwasher, fridge, freezer, oven, kettle, microwave and ceramic hob, on request Nespresso capsule machine and a toaster. 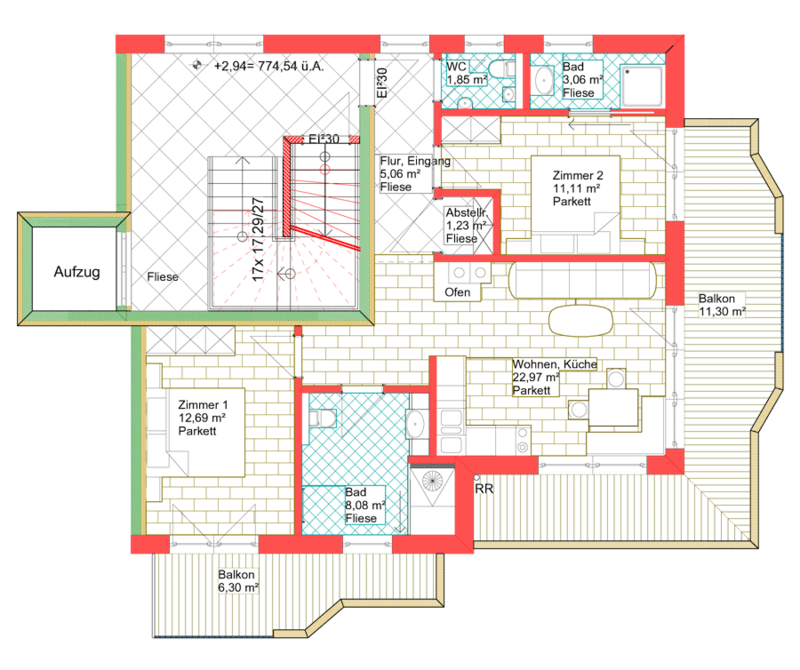 1 bedroom with an integrated bathroom and shower, 1 bedroom with extra bathroom and bath / WC, extra guest WC. 2 balconies. Included in the price: WIFI, elevator, underground parking spaces, heated ski room, bread service on request, cot on request, sauna and infrared cabin (including towels, bathrobe and slippers). Wheelchairtransfer – here you will find all information! ARRIVAL TRAIN: the Deutsche Bahn informs! Materials, fine furniture and attention to detail.